“We must keep our vision focused upon the ultimate purposes of God, or we will be distracted by the lesser purposes of God. “Love will break the power of fear that has held mankind since the beginning. “Even the sharpest human intellect cannot find God unless the Holy Spirit reveals Him. “Throughout scripture, God has demonstrated His greatest power where there was the greatest darkness. 17-18 God is love. 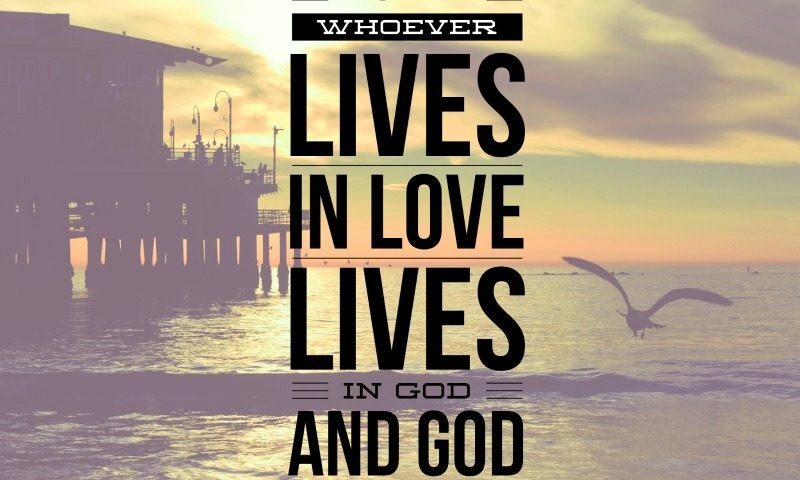 When we take up permanent residence in a life of love, we live in God and God lives in us. This way, love has the run of the house, becomes at home and mature in us, so that we’re free of worry on Judgment Day—our standing in the world is identical with Christ’s. There is no room in love for fear. Well-formed love banishes fear. Since fear is crippling, a fearful life—fear of death, fear of judgment—is one not yet fully formed in love. 4) Jesus is a sign of God’s power, where God showed people that He could create Jesus without a father, as He created Adam without any parents. Jesus is also a sign that God is well able to resurrect all people after their death, since the one who creates from nothing is quite able to bring back to life. He is also a sign of the Day of Judgment, when he returns to the earth and slays the Anti-Christ in the End Times. 11) The Islamic scholars say one of the disciple was the one crucified so that he can be saved in paradise – The resemblance of Jesus was put on another, and it is he, not Jesus, who was crucified. According to several commentaries on the Quran, the one who was crucified was one of the disciples, accepting the resemblance of Jesus, and martyring himself to save Jesus in return for paradise. The God we serve and worship is a God of relationship and a God of love. Not the way the world loves…It is love without strings attached. God’s kind of perfect love cast out all fear. 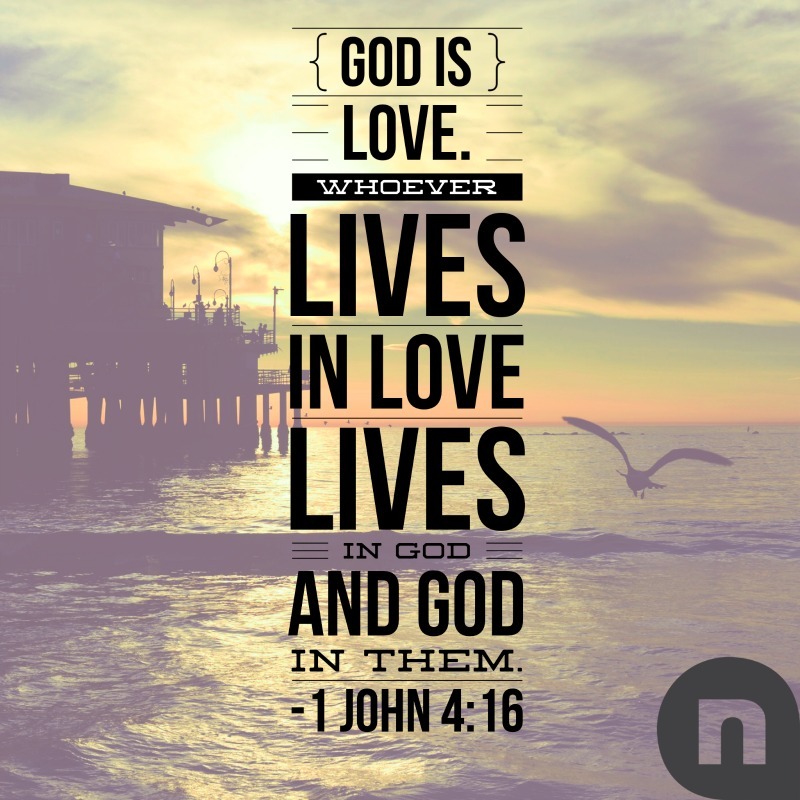 God, the one we worship as Christians is love. Over 360 times in the scripture, He says fear not..He is so loving that we can talk to Him and He talks back to us. Speak to Him today.. Sincerely ask Him to reveal Himself to you today..He is waiting, knocking at the door of your heart. Are you ready? Oh Lord speak, reveal Yourself to sincere seeker today and always in Jesus name, Amen!